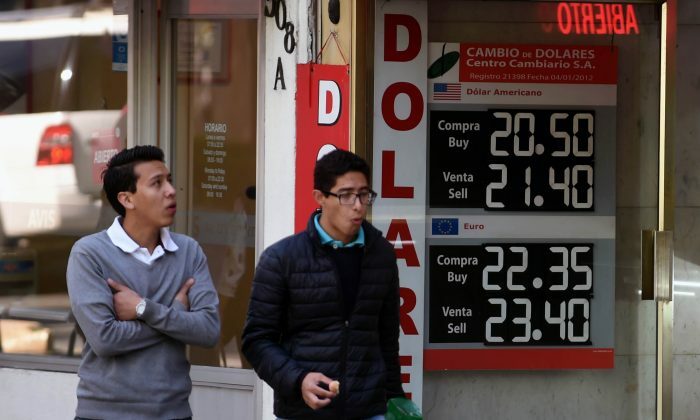 MEXICO CITY—Mexico’s main stock index closed out its worst quarter in over 17 years on Dec. 31, dragged down by doubts about how the new leftist government will manage the economy as well as concerns over global growth and trade. The S&P/BMV IPC stock index lost 15.89 percent in the fourth quarter, its steepest drop for a three-month period since the third quarter of 2001, when the Sept. 11 terrorist attacks hit the United States. After seesawing earlier on Dec. 31, the index finally closed 0.44 percent higher at 41,640.27. Global markets have been depressed this year by the U.S. trade dispute with China, uncertainty surrounding Britain’s planned departure from the European Union, and more recently the U.S. federal government shutdown.